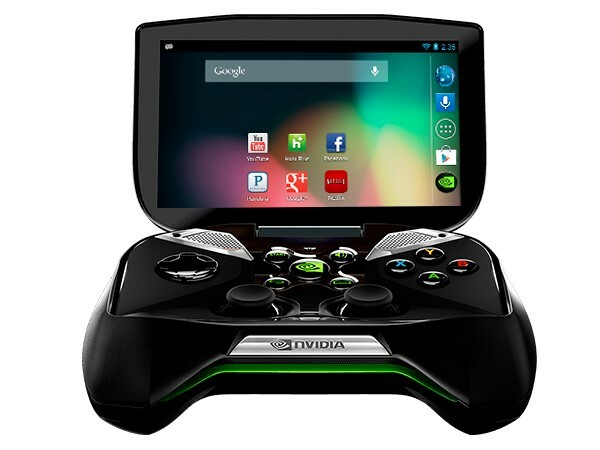 The Nvidia Shield is an upcoming Android-based handheld game console manufactured by Nvidia which was first announced at CES 2013 on 7 January 2013, and is set to be released in North America in June 2013. As it is a gaming device the SHIELD comes with a built-in PlayStation like controller complete with two joysticks and the A,B,X,Y buttons. When using SHIELD as just an Android device the left joystick can be used to pan around on web pages while the right joystick can be used as a mouse controller, reminiscent of the TrackPoint controllers on the IBM ThinkPads. Now Let's Take a look at the SHIELD specifications and some Introduction videos bellow!